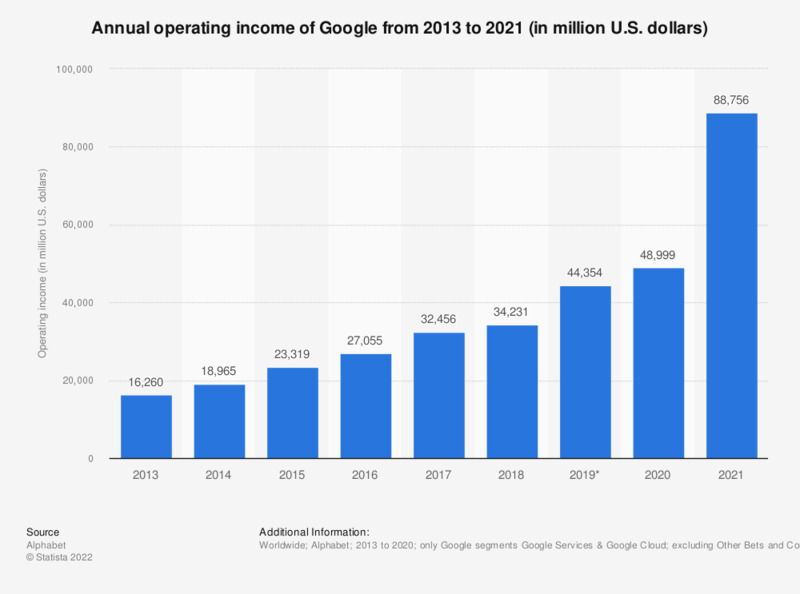 This statistic displays Google's operating income from 2013 through 2018. In 2018, the internet company's operating income amounted to 36.5 billion U.S. dollars. Google is the main revenue generator of online business conglomerate Alphabet. Alphabet Inc. is an American multinational conglomerate created in 2015 as the parent company of Google and several other companies previously owned by or tied to Google. As of 2015, the company does not report a separate net income of the Google segment.